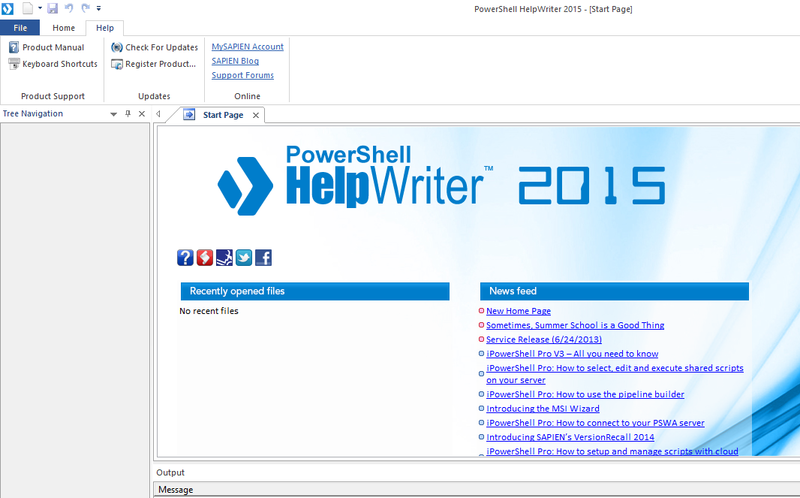 Home 2015 May 24 PowerShell Getting started with Sapien PowerShell Help Writer 2015. 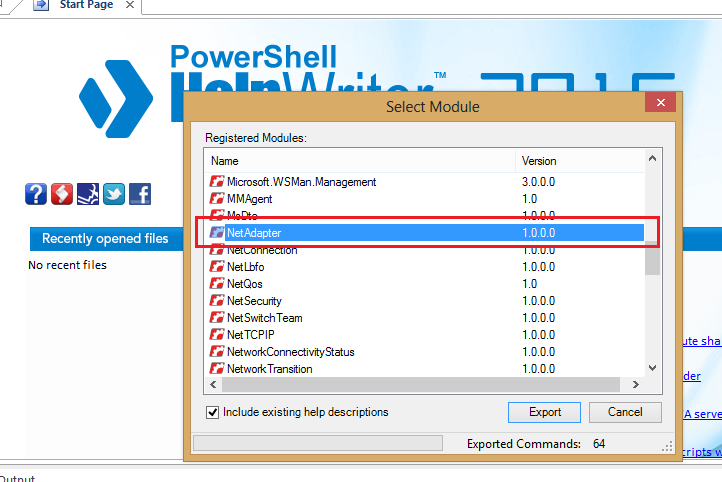 Getting started with Sapien PowerShell Help Writer – Sapien Technologies has come out with yet another awesome product called as the “PowerShell Help Writer ” which makes its a breeze to create custom help for your cmdlets.Here’s how the start page looks once you get the product installed in your workstation. 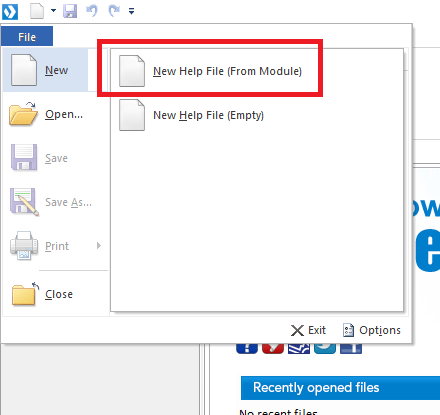 This option allows you to create a help file using the existing help content in an existing module, this option effectively gives you a pre-created schema of your powershell help file rather than creating one from scratch. 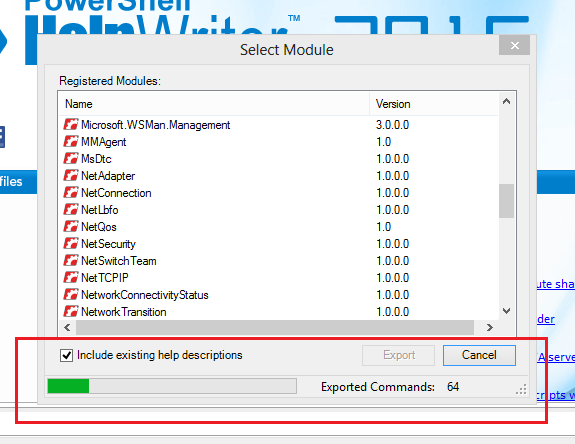 As you can see a UI pops up which scans all the modules and pssnapins installed on your workstation and asks you to a select a module, for this example lets select the “NetAdapter” powershell module and click on export. 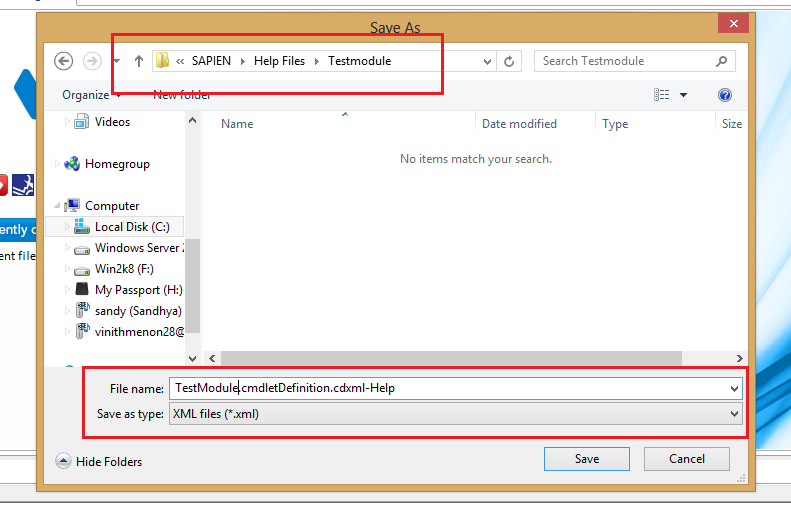 Once you click on export it will ask you the help file name and location, for this example i created a new folder called “TestModule” and also renamed to the file name for the help file to “TestModule”, also note that the export type is of xml format. Once you click on save, the export process will begin and it will start saving the help files to the destination location. As you can see during the export process it will read throughout the help file and automagicaly 🙂 create an xml file for the help file at the specified export location. 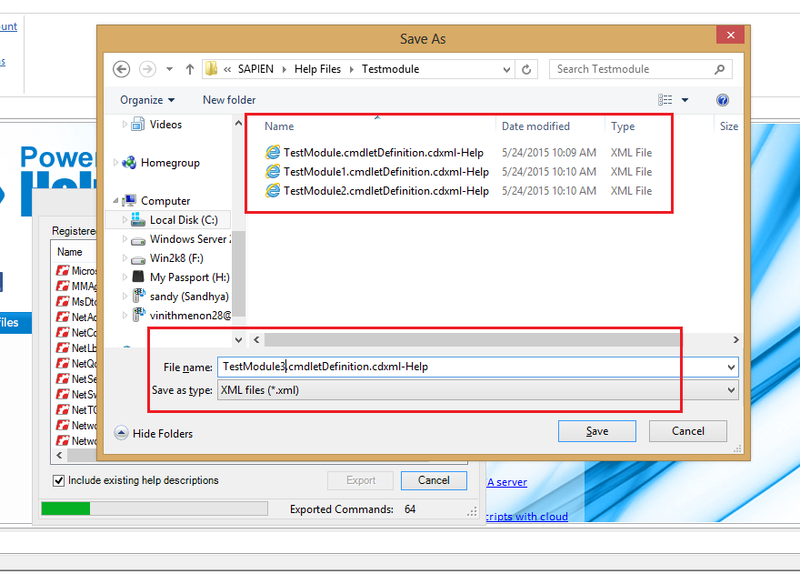 Also note that you might get a pop up multiple times as king for the save location, this is due to the Net Adapter module has cmdlets categorized into different groups and there is a separate xml help file which exists for the set of cmdlets. Once the export process completes, powershell help writer would show you a nice layout of the cmdlet’s categorized help in different tabs in the designer view, which gives you a neat layout of the parameter sets, examples, inputs an notes etc. 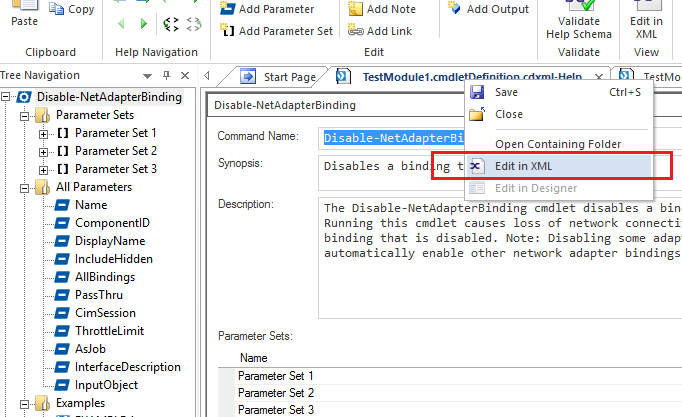 To understand that you need to click on an existing help and select edit in xml view. Wohhh! !, Ahem Ahem! !, do i need to type and create all this and hit my head against the computer screen each time a syntax error occurs! !, No way!! 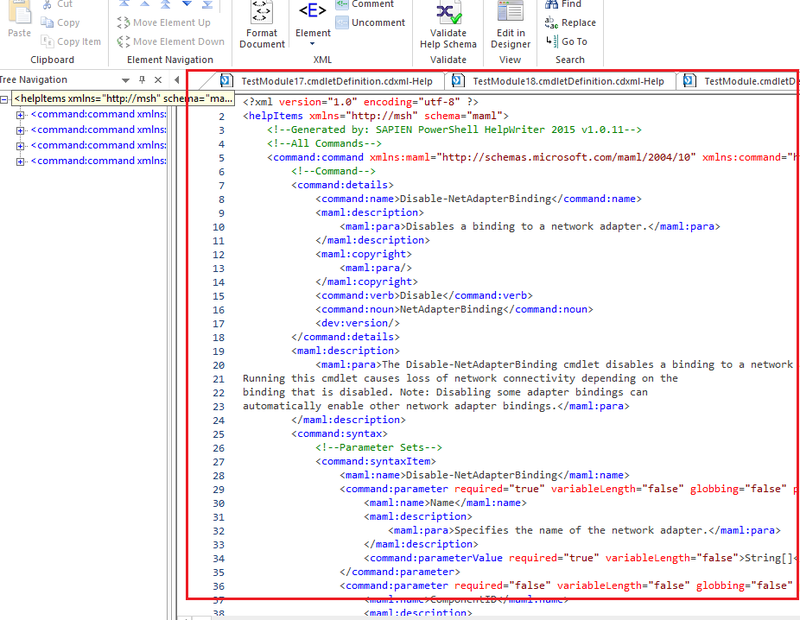 Here’s the deal!, i can concentrate more on creating the schema for the help and let the powershell help writer to do all the xml stuff in the background! 🙂 Neat right! Now once you have the re-usable help in place you can reuse the existing schema to start building your own cmdlet help, add examples and save and attach the help file when creating functions in modules. 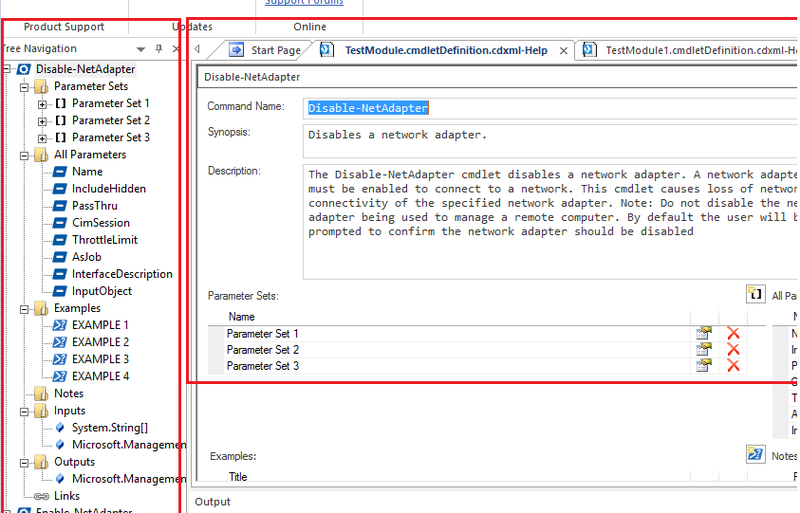 Here’s a view on the cmdlet help which was attached to the function. 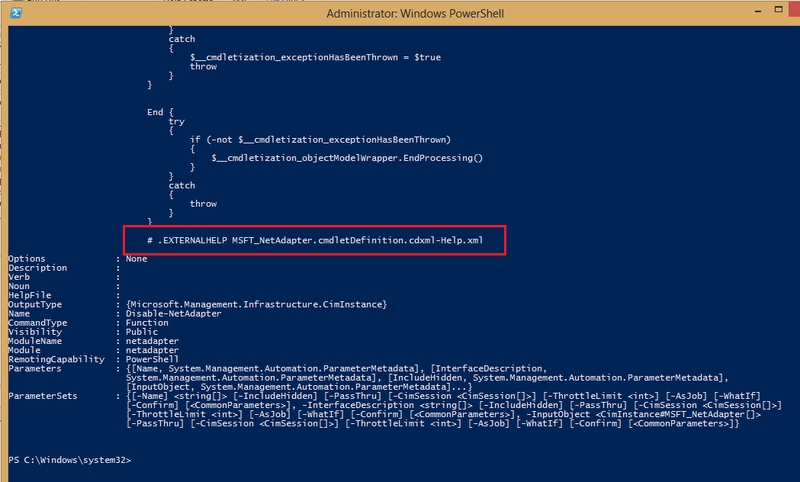 So no more wasting precious time on creating cmdlet help when powershell writer is here to save the day!! I hope you enjoyed this blog post and found the information useful.